Now it’s time to introduce her to his friends. 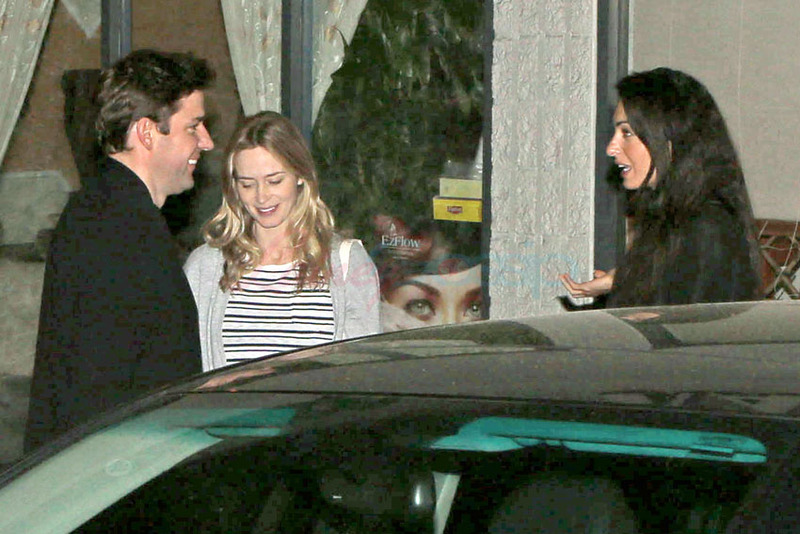 He is very good friends with Emily Blunt and John Krasinski. They were married at his place in Lake Como. And last night all four of them were out for sushi dinner in LA. Jesus. Now isn’t this a double date you would have wanted to spy on? 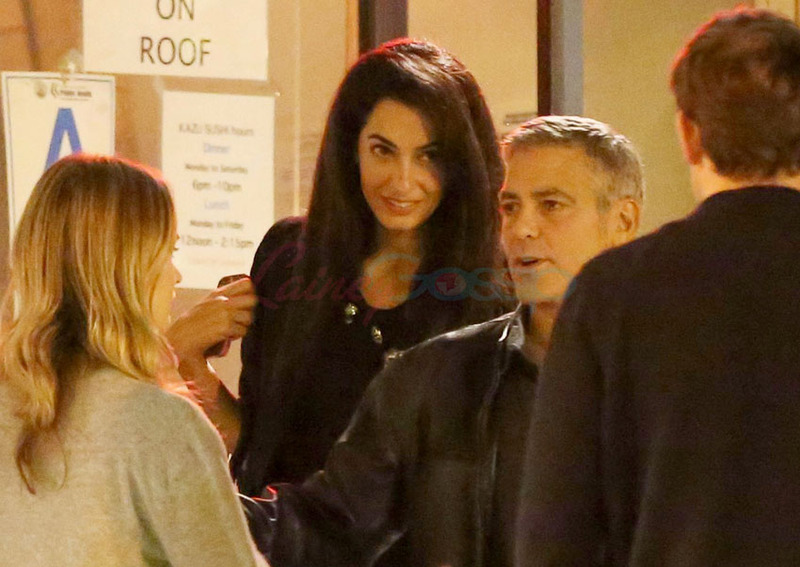 George Clooney LOVES to gossip. And Emily and John, you get the sense that they’re down with that kind of conversation too. What do you think they talked about? He already made a crack about Gwyneth Paltrow when he was doing a Vanity Fair interview with Julia Roberts – click here for a refresher. 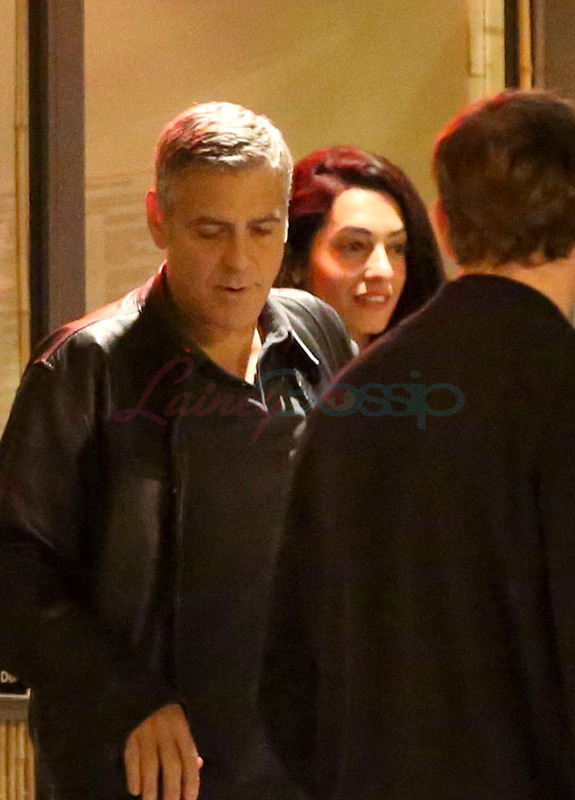 Clooney talks a lot of sh-t. And he does it best when he has a date. It’s full relaxation, you see? He knows he’ll be taken care of when he’s at home, so he can devote all his attention to what matters: gossiping about everyone else. So what does Amal get out of it? She might be a proper barrister but from my experience, lawyers are all about the gossip. She can spend her working hours dealing with human rights issues and during her off time, there’s another kind of human condition to analyse and explore.